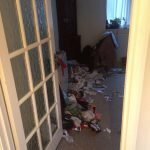 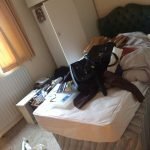 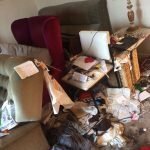 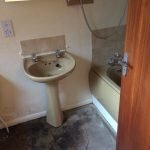 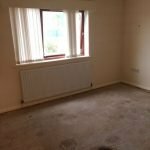 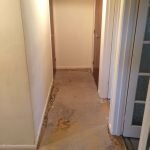 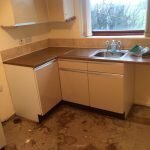 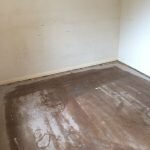 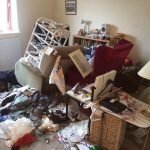 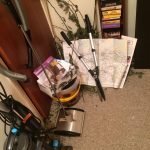 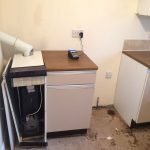 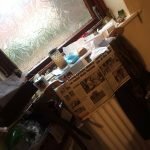 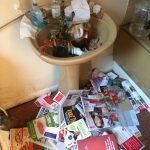 House Clearance Service In Whiting Bay Beith Glengarnock Longboat. 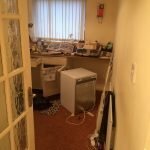 Good morning just looking for some quotes to clear a two bedroomed flat situated in North Ayrshire nobody has lived in the flat for two months so would need you to pick keys up from estate agents there isn’t an awful lot in the property but need it cleared by the end of the week it would also require a deep clean if you could please send me a price for this would be greatly appreciated kind regards. 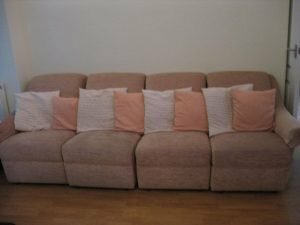 A large four seater high back sofa suite, upholstered in stone chenille fabric. 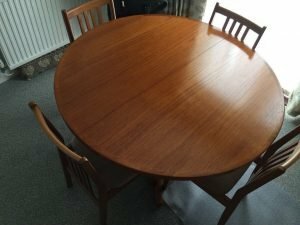 A circular 1970’s teak wood extendable circular dining table, together with four matching dining chairs. 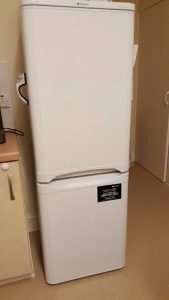 A white tall standing Hotpoint two door fridge freezer. 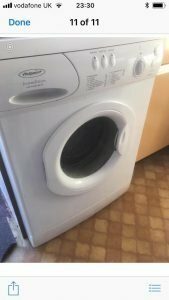 A white Hotpoint 6kg under counter washing machine. 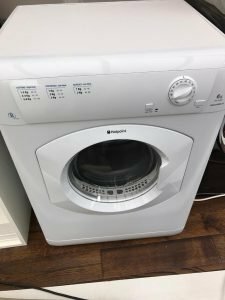 A white Hotpoint 6kg under counter tumble dryer. 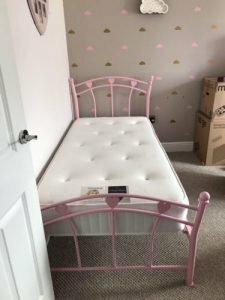 A pink children’s single bed frame, together with a white single mattress. 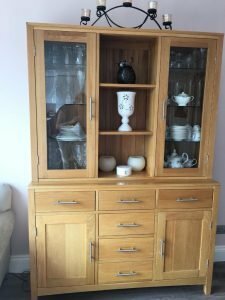 A solid oak and glass sideboard, having six drawers, four cupboards and two shelves. 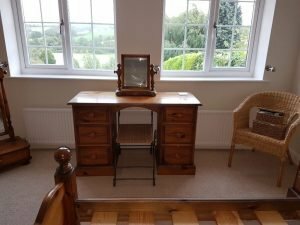 A solid pine six drawer desk and matching swing mirror, together with a Lloyd Loom bedroom chair. 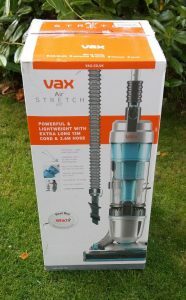 A brand new boxed Vax blue and grey air stretch pet upright vacuum cleaner. 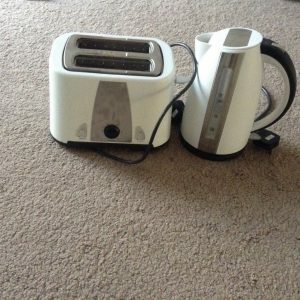 A white Argos two slice toaster, together with the matching kettle. 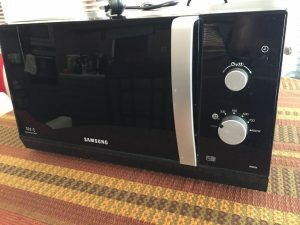 A black Samsung 60W microwave oven. 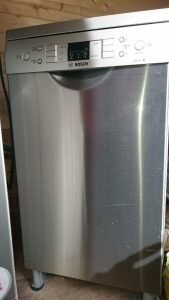 A silver Bosch series free standing dishwasher. 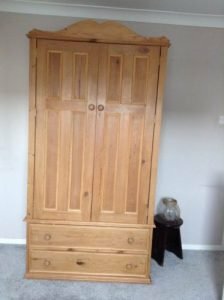 A solid pine tall standing double wardrobe, having two drawers underneath. 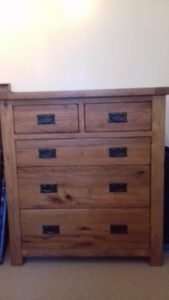 A large solid oak chest of drawers, having two small over three graduating drawers, each with cast iron handles. 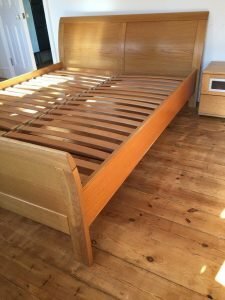 A solid oak double bed frame, together with a pair of matching one drawer bedside tables. 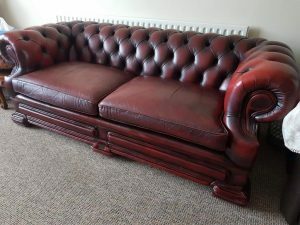 A two seater Chesterfield buttoned sofa on a mahogany frame, upholstered in ox blood red authentic leather.